Oohs, ahhs, big applause with everyone cheering! Before the touring production of Something Rotten! arrives in Boston, we want to send you—yes, you!—to New York City to see the show on Broadway so that you can be the Boston ambassador! If you love musicals—and nothing's as amazing as a musical—now is your chance to join other ambassadors from across the U.S. for this special inside look at Broadway's blockbuster hit show. One (1) ticket to Broadway’s Something Rotten! So, how do you enter to win? It's so easy! All you have to do is complete a simple entry form here. Yep, that's it. 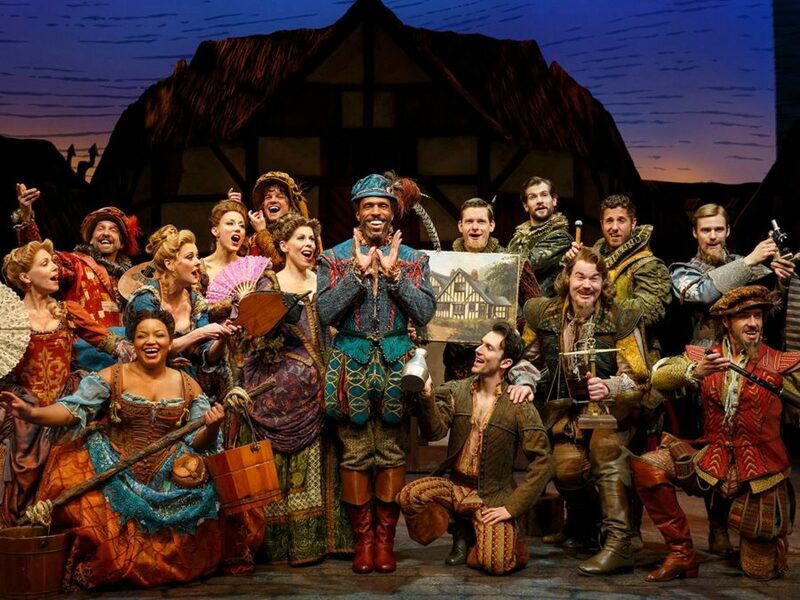 But don't wait too long to enter: the Something Rotten! sweepstakes for Boston will end at 10:59PM (EST) on August 14. Also, prize travel to NYC must take place between September 26 and September 28, 2016. NO PURCHASE NECESSARY TO ENTER OR WIN. VOID WHERE PROHIBITED. Promotion only open to legal residents of U.S. and D.C. who are 18+. Promotion begins 11:00 a.m. EST on 7/15/16 and ends at 11:59 p.m. EST on 8/14/16. Limit on (1) entry per person and per account. ARV of prize: $800. Sponsor: American Artists Ltd, Inc. dba Broadway in Boston. For Official Rules, please click here.